Join Palm Beach Children's Chorus for a wintery wonderland of song! Palm Beach Children's Chorus presents, "A Winter's Night: a Holiday Celebration of Song" on Sunday, December 16, 2018 at 5 PM. You won't want to miss this exciting Holiday concert featuring traditional holiday favorites, drama, and more!Palm Beach Children's Chorus is a fresh and energetic performing arts organization for children ages 7 -18. 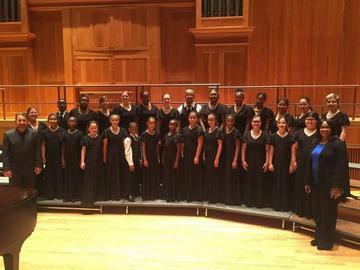 Palm Beach Children's Chorus has been featured on WPBF Channel 25 and has performed at New York's prestigious Carnegie Hall. Palm Beach Children's Chorus is in its 4th season of bringing music to our community and empowering the lives of youth in Palm Beach County. For more information visit www.pbchildrenschorus.org or call 561-444-8455.